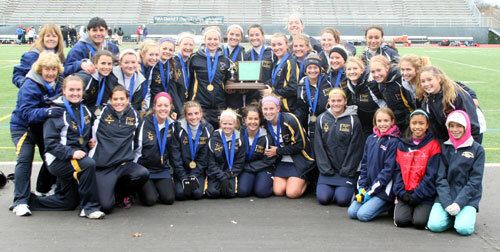 The Penn Manor Field Hockey Team will play in the State Championship Match against Lower Dauphin on Saturday, November 17 at 2:00 pm. The cost is $8 for adults and $4 for students. Directions to the Zephyr Sports Complex in the Whitehall-Coplay School District at 2940 MacArthur Road, Whitehall, PA are provided below. Come out and support these talented student-athletes. Go Comets! Directions: Take 222 N to 100N to 22 E. to 15th St. Exit. Left off ramp (15th St.) 15th St. becomes Mauch Chunk Road at 3rd light. Continue North for 1 more traffic light (Schadt Avenue). Make right at Schadt Avenue. Go straight and make 1st left onto Campus Drive. Continue straight and make left onto Stadium Drive.